Football laces-santed. Close-up shot showing the white laces and dimpled surface of an american football. 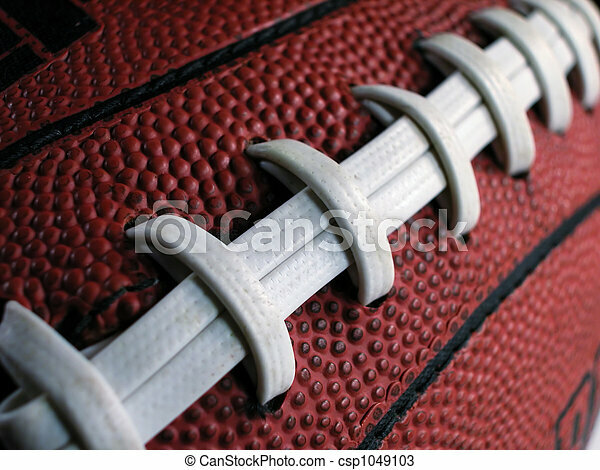 Close-up shot showing the white laces and dimpled surface of an American football.